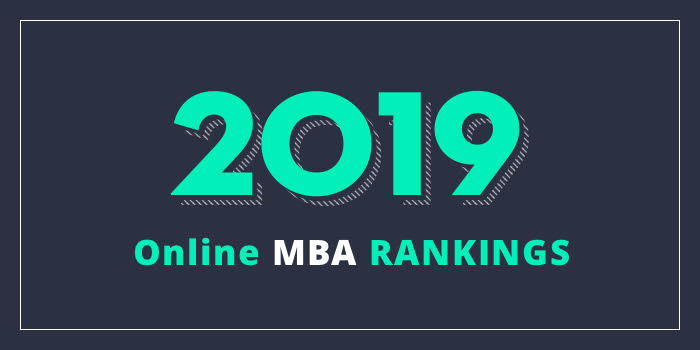 Our 2019 list of the Top 20 Online MBA Programs in the South. We define the South as Florida, Georgia, Alabama, Louisiana, North Carolina, South Carolina, Kentucky, West Virginia, Tennessee, Mississippi, Arkansas. For an explanation of our ranking criteria, click here. Students can live-stream classes or choose to watch at the time most convenient for them. Courses are taken at the student’s own pace, with most online students taking one or two classes each semester. The curriculum includes a mix of core business classes and business electives and the final semester includes the Capstone Course, where groups of MBA students provide consultation to a number of real businesses on various topics. In addition to selecting a specialization, students are required to take three Professional Development Seminars (PDS) during the first quarter of the program. Professional Development - Work Preference Indicator Assessment, Professional Development - Presentation Skills Seminar, and Professional Development - Career Services Seminar. The College of Business at Tennessee Technical University (Tennessee Tech) offers an MBA program that the school say is “designed with working professionals in mind.” This “Industry-Immersed” program may be completed on campus, 100% online or a combination of the two. The curriculum consists of ten, 3-hour courses for a total of 30 hours, including seven 3-hour core courses (21 hours) and three 3-hour electives (9 hours). Course highlights include Analytical Decision Making, Business Strategy, Financial Statement Analysis, Management of Information Technology, and Organizational Leadership. Full-time and part-time programs are available for students to earn their degree at their own pace. Students can finish the 30-hour program in as little as one year. The College of Business at Florida Atlantic University (FAU) offers a 23-month online MBA with no GMAT/GRE requirements. The program contains no residency requirement and no international residency requirement, and it is designed for individuals with undergraduate degrees in any discipline. However, four years of work experience is required to be admitted to the program. FAU Online MBA features include a 100% asynchronous format, allowing students to access courses at any time and from any location, with an internet connection, a 40-46 credit curriculum, a team-based cohort format, and VIP Concierge Service and Support. The program also contains the same curriculum and is taught by the same professors as the campus-based programs. Students will learn and engage with faculty and peers through recorded online lectures, presentations, discussion and chats. The AACSB-accredited FAU MBA program was recently ranked #1 in Florida and #5 in the United States in terms of a student’s return on investment (ROI), with one of the nation’s highest average salary-to-debt ratios after getting an MBA. Programs start in May, August, and January.